I've mentioned before here, that I love Bigbang and TOP is my bias in the group. Here's a bit about him, in case you don't know who he is. TOP got the nickname 'Bingu' which means stupid in English because of his dorky and funny attitude, especially his goofy dance which he would do whenever he likes even when nobody asked him to. I first fell in love in this guy when I watched K-Drama IRIS (2007) where he played the role of an assassin. Though his scenes weren't that much in the drama but his intense stare and manly voice left a big impression to me and I immediately searched about him. That's when I learned that he's in Bigbang and I immediately fell in love in the whole group too. I mean, bunch of handsome men and great songs, who wouldn't like it, right? Especially if you're a Kpopper. For your information, every healthy Korean man, before the age of 30 years old, they would be serving in the military for two years and celebrities are no exception. TOP's military service started earlier today, on 9th Feb 2017. And that guys, was why I needed to post this entry. Knowing that I won't be able to look at his handsome face for two years made my heart break into pieces. I know I'm just being a fan girl and all but WHY IS IT SO HARD TO LET HIM GO? *cries a river. I really feel like sending away a real boyfriend or maybe it even feels like we're breaking up while I still love him dearly, lol. Hey TOP, if you ever read this (which I think you would, in my dream), just know that I'll forever love you, and I'll wait for you, that is if I'm still into Kpop at that time tehee. Soz not soz for the fangirling mode in this post, guys. 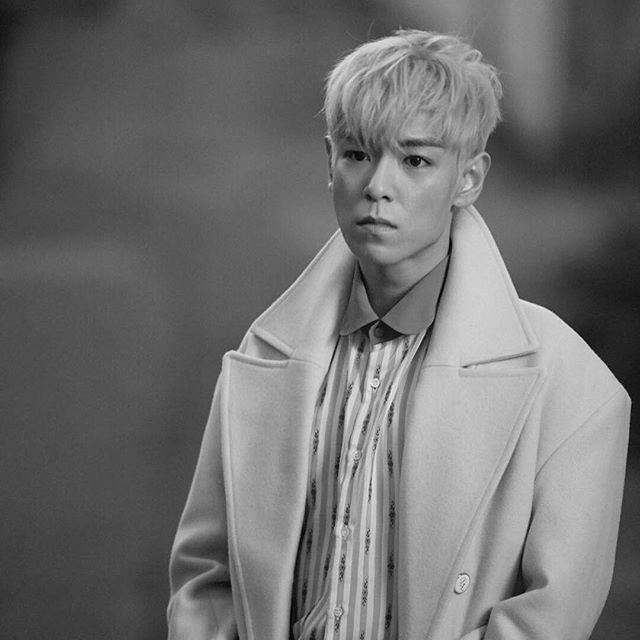 Who artist do you love like the way I love TOP? haha damn, that's surprising! the Monday couple shouldn't have any rival lah. Kalau artis korea kita kenal pelakon je, of course la lee min ho and jin go, sebab macho,kekekekke. Fuyoo hebatlah korea, semua yg sihat2 kat sana pernah masuk army, well prepared kalau ada perang (nauzubillahiminzalik),fuh. haah sebab diorang kena berjaga-jaga dengan North Korea. I love TOP too!!! Dia handsome sangat dan tinggi! Ohh Siqah suka lelaki tinggi. Muahahaha. Sedih kan TOP nak join military dah. 2 tahun tanpa dia lah nampaknya. Yes. TOP is Bingu. Hehe. Lya tengok dah Weekly Idol Big Bang? TOP paling kelakar dalam tu. Hehe. He's so cute at my very first sight omg! hahaha boleh cari lelaki korea lain kot untuk ganti dia for two years. Me kenal Lee min ho seja. hahaha. but i do fangirling to a girl actually. I love park shin hye and nam gyu ri for their angelic and feminine personalities. hehe. I have girl crush too, I really love yoo in na! Dulu i have so many kpop idol on my list. The first time i cried so badly when leeteuk (super junior) going to serve his military service and since that, i barely updated with Suju. Its like i feel that emptiness in suju where the leader, the one i always look upon to wasn't there. Now he's back and hopefully other suju members will complete their military service this year and i hope their comeback will be the best ever! they've been gone for a very long time indeed! I believe suju will have an awesome comeback once the members are complete again! I actually fell in love in his voice first, then I found that he has a handsome face. haha. I love guys with manly voice like him! TOP was also my bias in Bigbang. O the good ol' day. He is almost 30? Wow. I feeling rather old now. I don't how heartbroken I'd be if they stop filming Supernatural so go alia, go, cry a river if that makes you feel better. Hahahaha.